Add a pop of color to a youth bedroom with these bright and comfy pillows with durable welt trim. The larger box pillows are offered in a set of three, and the round bolster pillows are offered in pairs. Choose from solids, stripes, or a combination of both! Made from 100% pre-washed cotton. The MaxLatex mattress is made from eco-friendly materials including a 2.5" bio-foam base, 2" high density Latex top, and soft organic cotton fabric. These components allow this mattress to be resilient and long lasting. Further, they provide excellent air circulation, even body weight distribution, and coolness in summer and warmth in winter. 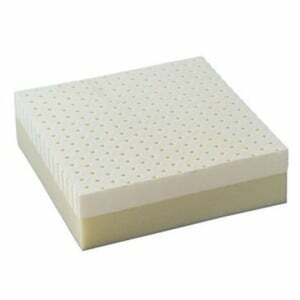 The MaxLatex mattress is offered in twin and full size. Proudly Made in the USA! The MaxMemory mattress has a base of 2.5" thick bio-foam to provide firm support, and it also has a 2" memory foam top which contours to the body shape to reduce pressure and allow for even body weight distribution. The foam is then encased in a soft organic cotton fabric. The MaxMemory mattress is offered in both twin and full size. Proudly Made in the USA! The MaxSpring mattress marries the support of springs and the comfort of foam. Firm spinal support is provided by the steel spring coils, and the bio-foam top and sides provides soft comfort. 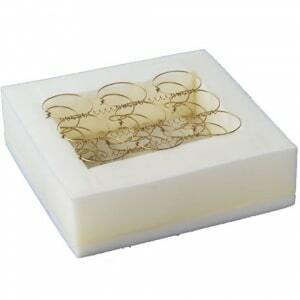 Encasing the foam and springs is a soft organic cotton fabric. 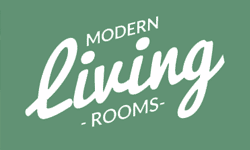 The MaxSpring mattress is offered in both twin and full size. Proudly Made in the USA! 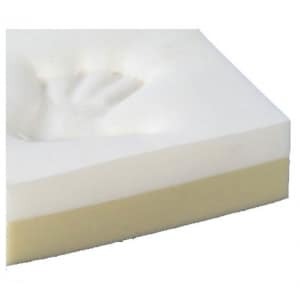 The MaxFoam mattress is made of a 4" bio-foam which provides firm spinal support, and the 1" sculpted bio-foam top promotes even body weight distribution and air circulations. 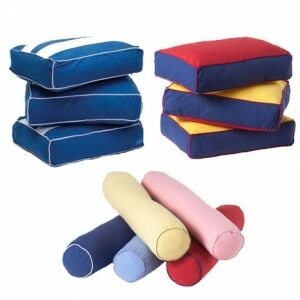 The fabric cover encasing the foam is made of soft organic cotton. 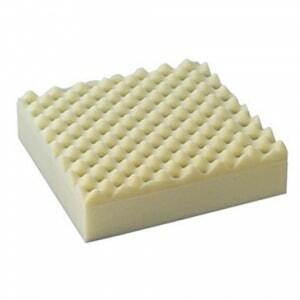 The MaxFoam mattress is offered in trundle, twin, and full size. Proudly Made in the USA! 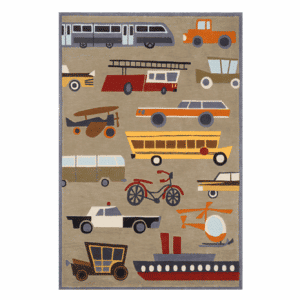 Our Transportation Rug features a colorful assortment of car, trucks, boats, and more! This rug is available in many sizes. Hand-tufted of soft mod-acrylic, this collection features hand-carving for added texture and a vibrant color palette to make it as fun as it is unique. Several sizes offered.